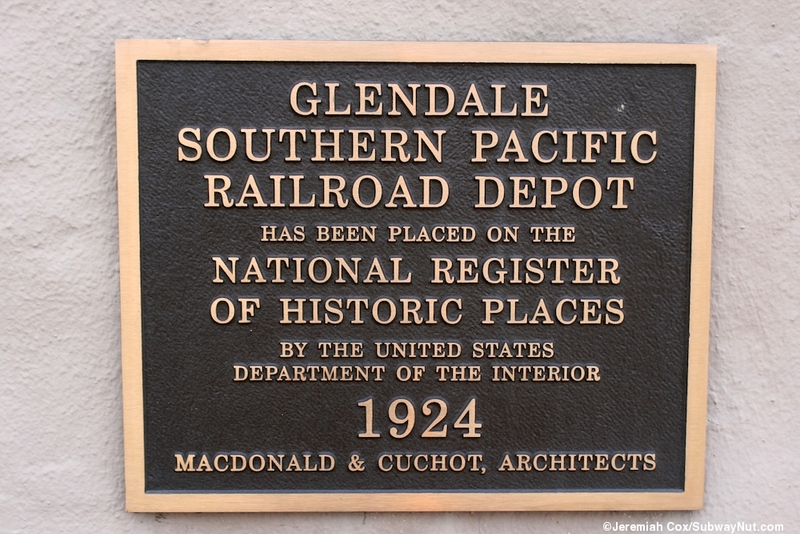 Glendale and its historic 1924 mission revival depot has received Amtrak service except inside the May 1, 1971 and July 12, 1971 timetables (I assume it lost train service only just before the creation of Amtrak), service is restored on the Coast Starlight, then the only train to run north of Los Angeles, for the November 14, 1971 timetable. The station was staffed and received checked baggage service at that time as well. The station received a second train from the overnight, State Sponsored 'Spirit of California' up to Sacramento that operated between 1981 to 1983. 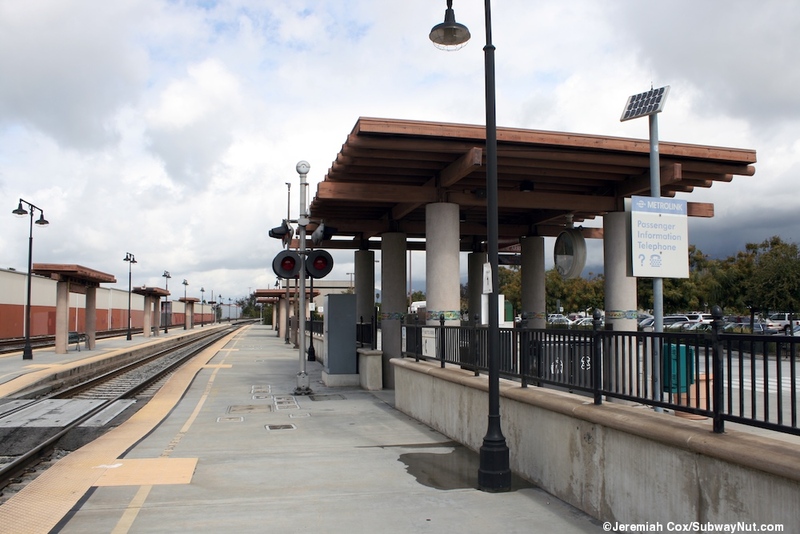 The next regularly scheduled train service to stop at the station was the ill fated CalTrain (funded by the state) that ran two rush hour round-trips to and from Oxnard from October 1982 and February 1983, plagued by problems with the much higher operations tariff charged by the operator, the Southern Pacific, than budgeted and a change in the California Governorship (that also doomed the Spirit of California which lasted until October 1, 1983). 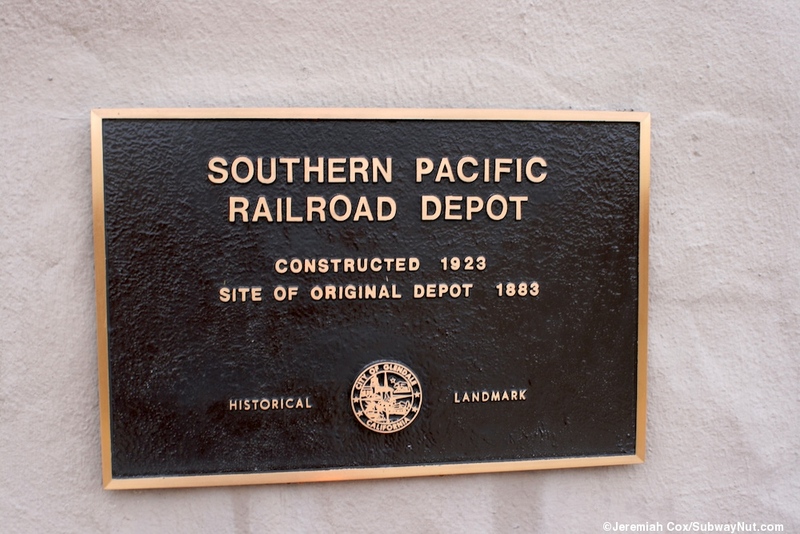 More permanent service to supplement the Coast Starlight began with the first Santa Barbara round-trip on the San Deigan on June 26, 1988. 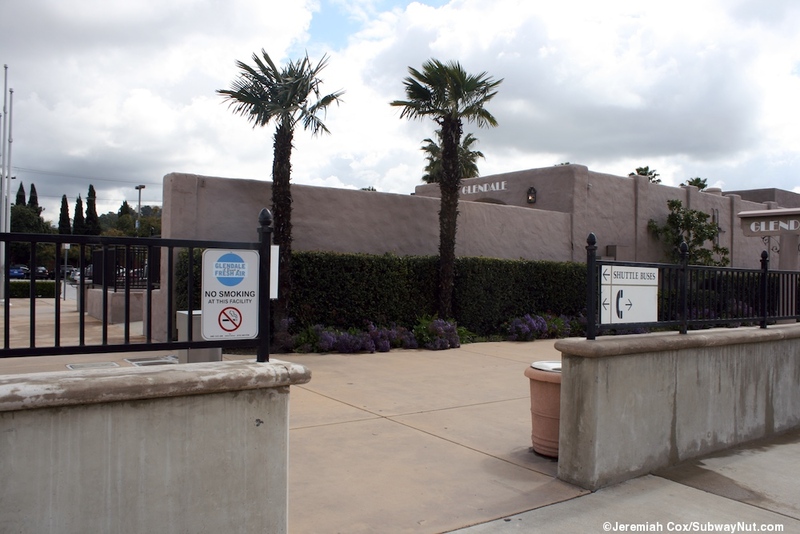 The stop was one of the original station stops on Metrolink (funded more regionally) when it began its rush hour trips to both Santa Clara and Moorpark in Ventura County on October 26, 1992. 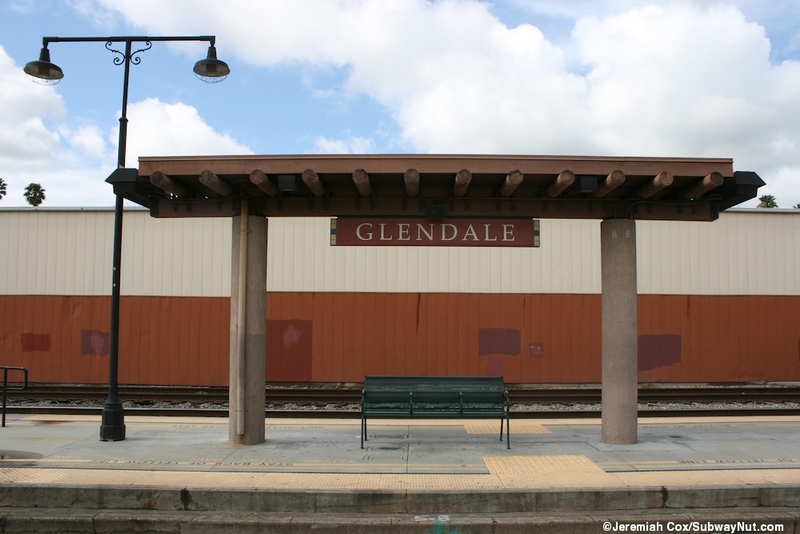 In May 1997 baggage service and an Amtrak agent was lost with Glendale Station closed for reconstruction. The timetable has a note: "Trains continue to stop but no services are available." 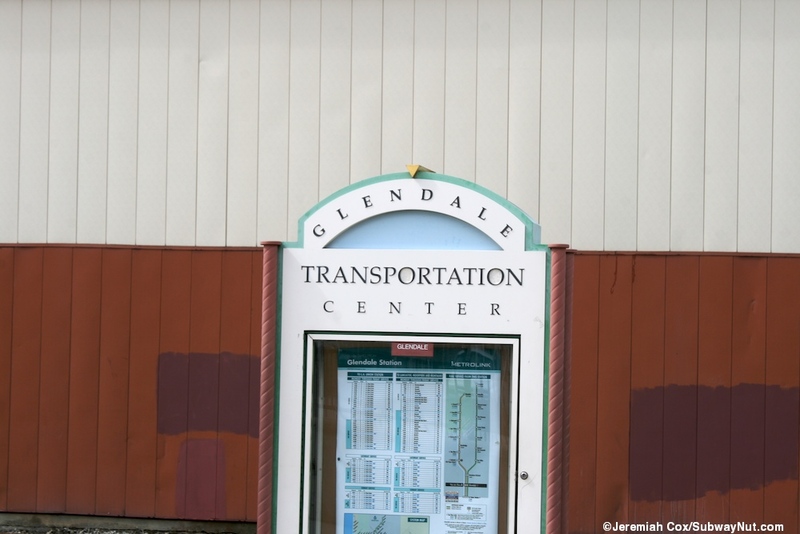 Depot renovations were completed in 1999 when the station reopened as the Glendale Transportation Center but still without an agent. 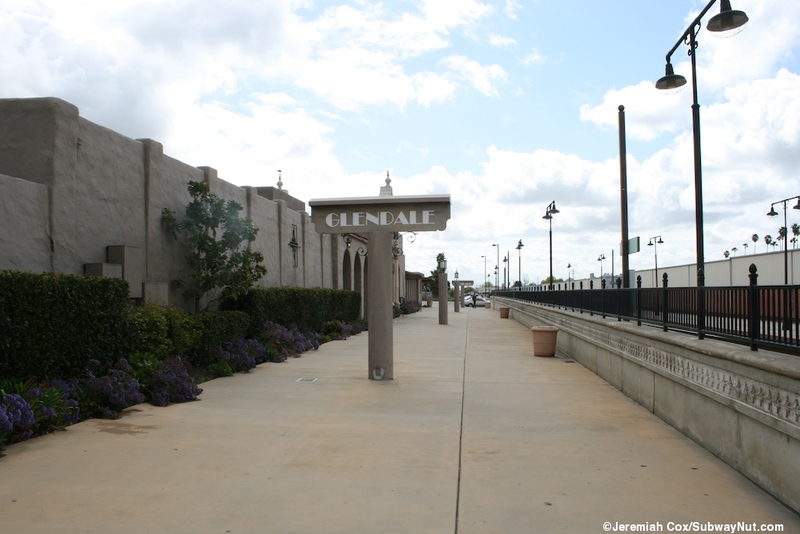 The Coast Starlight discontinued its stop in Glendale (and started stopping in Van Nuys instead) between the November 2004 and April 2005 timetables. 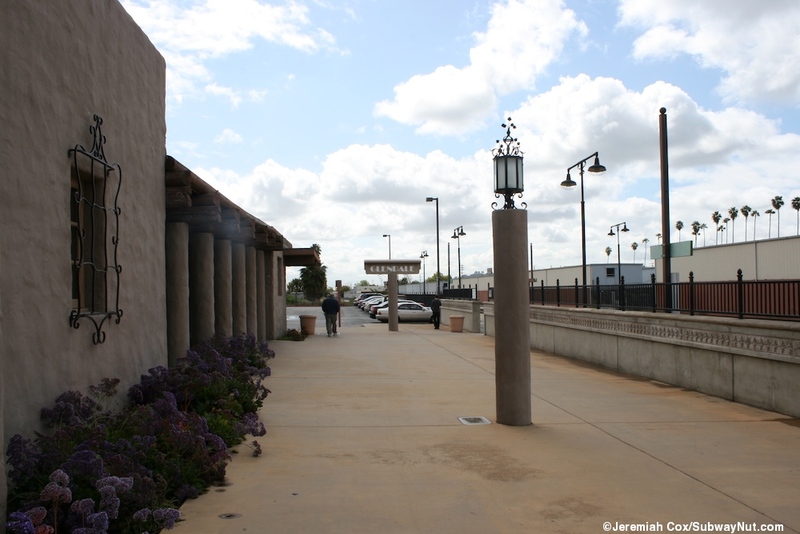 Today the station still serves five daily Amtrak Pacific Surfliner trains (the successors to the San Diegans), plus six daily thruway bus schedules up to Bakersfield to meet every San Joaquin train. 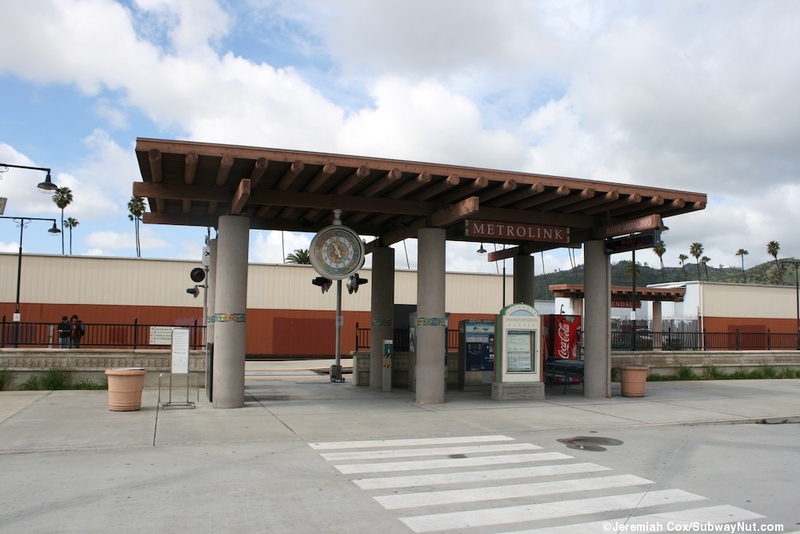 Metrolink service is frequent with 29 inbound and 30 outbound trips to and from Los Angles per weekday, ten of these round-trips are on the Ventura County Line, 14 are on the Antelope Valley line and the rest are shuttles between Union Station and Bob Hope Airport. 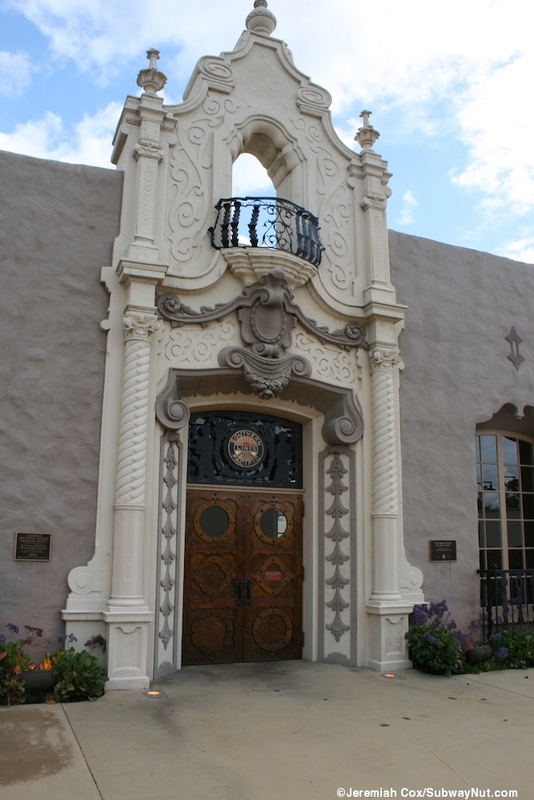 There are six Antelope Valley round-trips on Saturdays and three on Sundays. 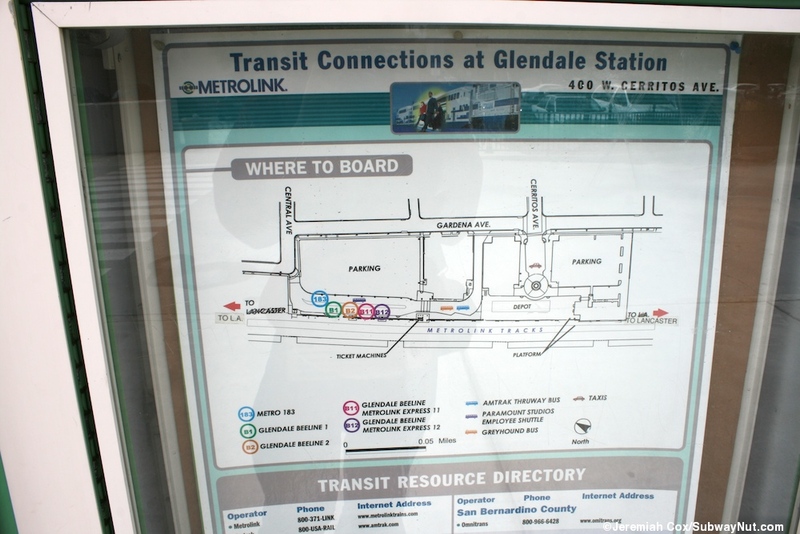 Connecting bus service includes Glendale Bee Line bus routes, two local and two Rush Hour Metrolink Express routes, one to the Downtown Burbank Metrolink Station via local streets. One Metro Local Bus Line stops at the Transit Center with others including Rapids on nearby streets. Greyhound also stops but doesn't have a ticket office or agency either. 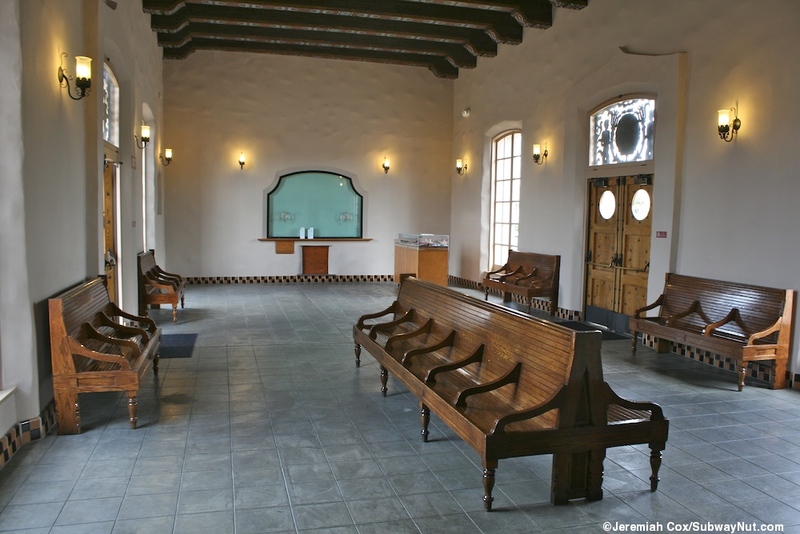 The excellent restored Glendale depot is a sprawling one story mission revival building, an architectural wonder. The SP lines logo is still etched in the glass with decorative reliefs above the doors to the main indoor waiting area. This has a colorful roof with wooden beams visible with a red and blue painted pattern. Passengers can sit in a few sets of armed wooden benches. There are restrooms as well and a coke/snack vending machine. This waiting area has the provisions for two ticket window positions (with an opening for baggage beneath) that are predominantly closed, the blinds shut, never reopened from remodeling. There is also a circa 1950 HO-scale model of the depot from the local Model Railroad Club. 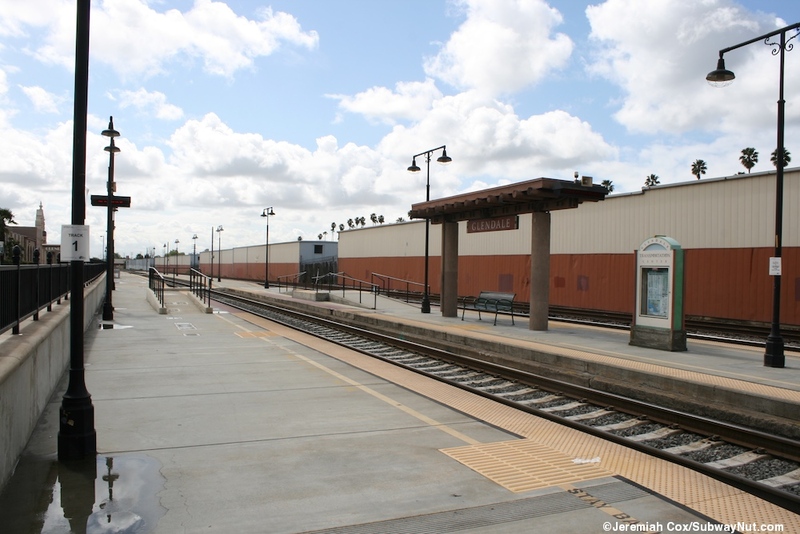 There is still an outdoor waiting area with four sets of benches beneath a wooden roof, towards its southern end, between the main depot and another small building. 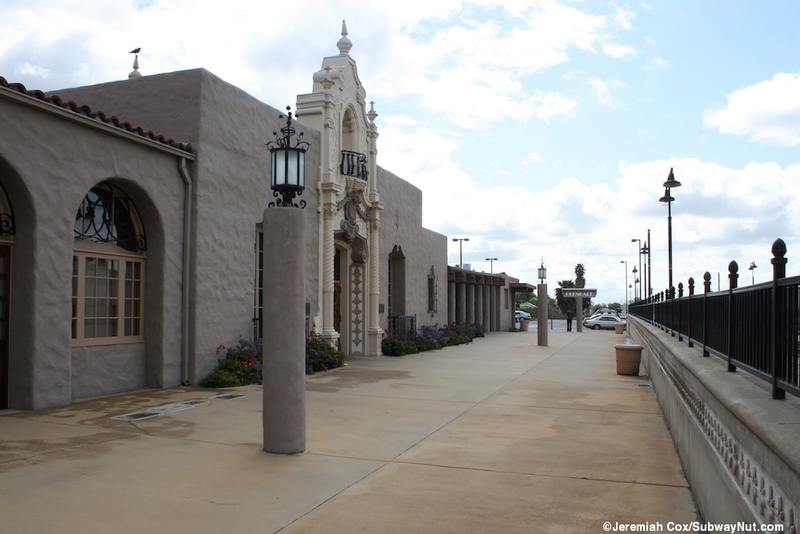 Streetside is the main grand station entrance at the end of Cerritos Avenue with a fountain in the middle of a traffic circle that leads to small parking lots to the south and north followed by an access road along the platform around a building to the bus loop (that stretches between El Bonita and Central Avenues), there is another parking lot in back of the bus loop and a total of 304 transit parking spaces. 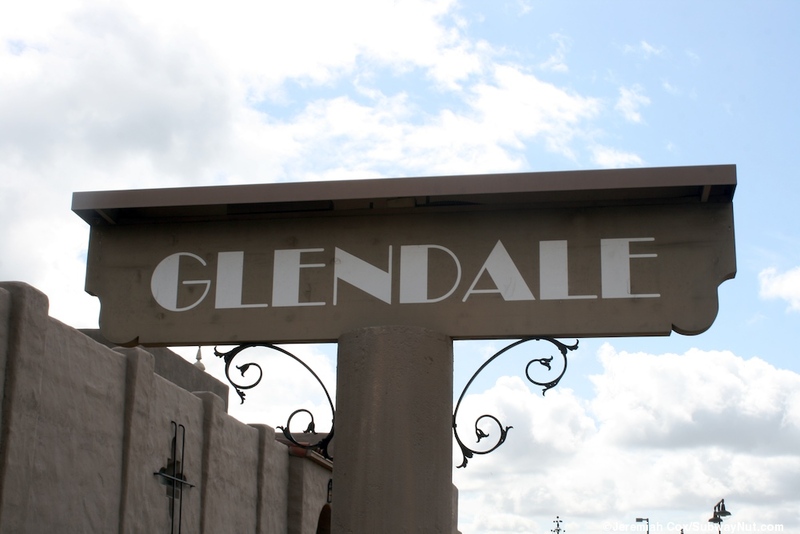 In front of the depot are original tan Glendale signs are on posts before the platforms. 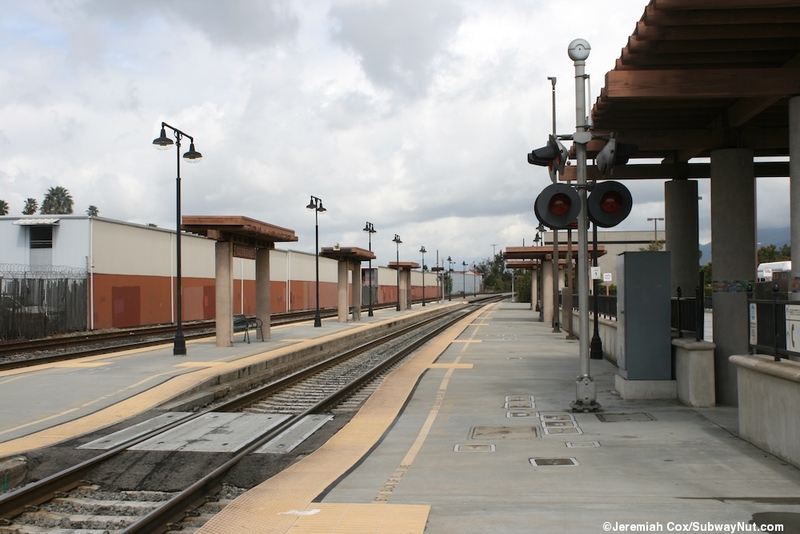 To reach a trains there are two platforms for the three track railway, the westernmost track doesn't platform, the middle track does at an island platform with the easternmost track that also has a side platform. 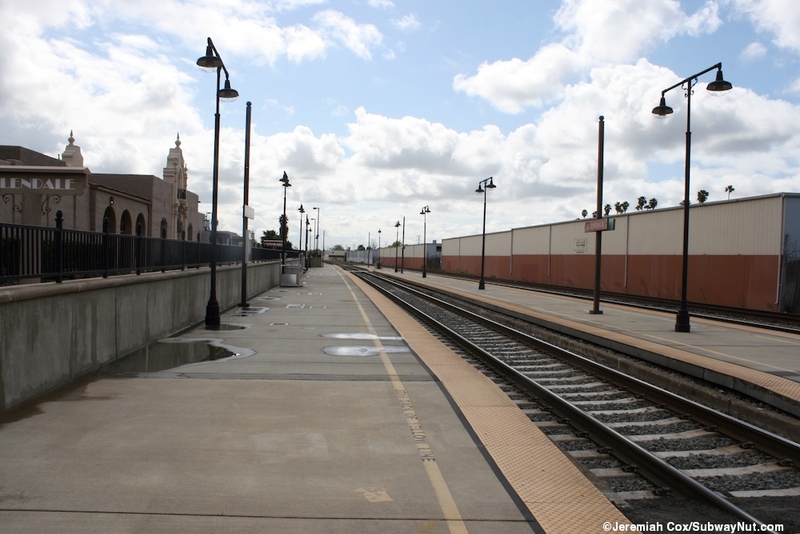 The side platform has a concrete wall that only acts to restrict platform access to four designated areas. 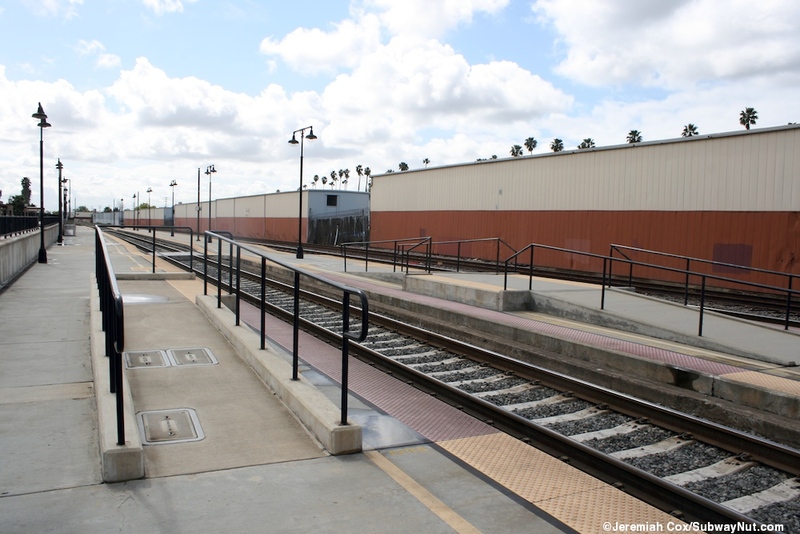 These long platforms (maybe ten, if not more cars) each have tactile warning strips on all edges, a wheelchair ramp towards their middles (always lines up with the last Metrolink car, shows how long they are to accommodate the Starlight), with the easternmost track that platforms on both sides able to use a bridge plate to either platform, and canopies that have wooden roofs and simple concrete pillars (4 on the island and two on the side platform that are larger and shared with the bus loop crossing over the low wall). 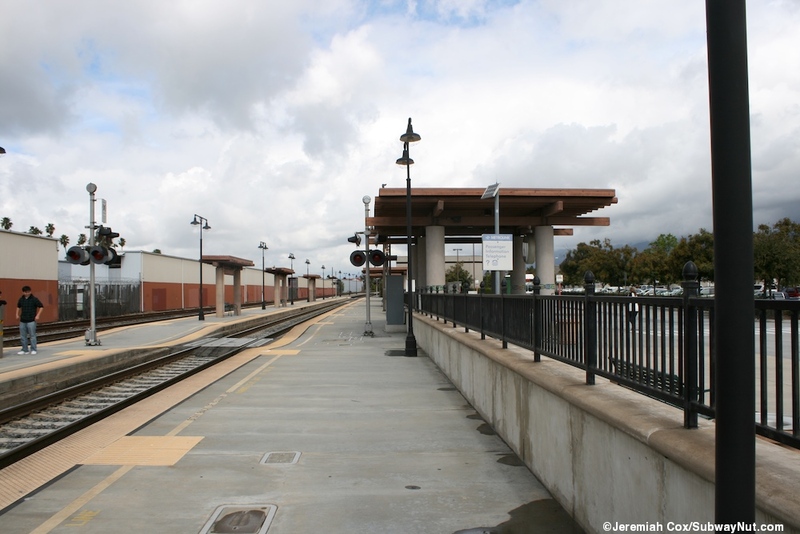 Another similar canopy covers the main station entrance (a gap in the wall) where the station's Metrolink TVMs are found. The platforms are connected by five level crossings each with a crossing bell and light. 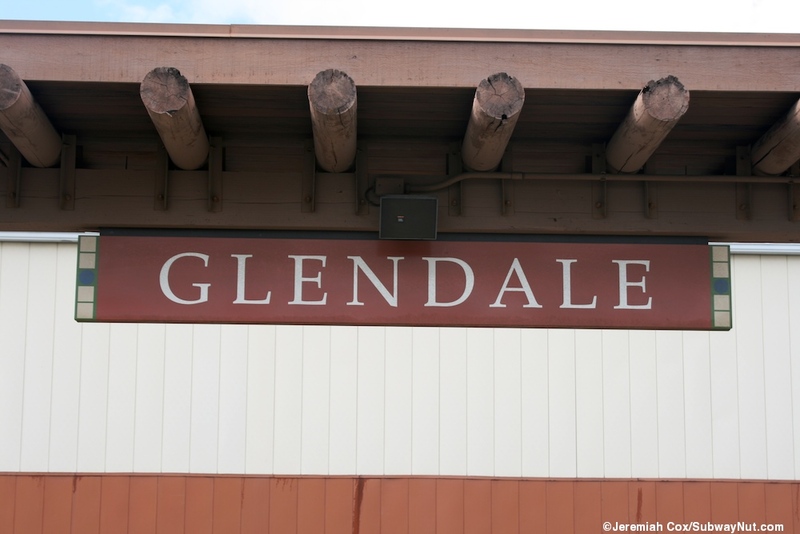 For signage there is a modern Glendale sign hanging from each wooden shelter roof.